For Vickie Cruz, coming out as a trans young woman in the 1960s meant learning to defend herself physically and emotionally. But with the support of her large Puerto Rican family, she used her experiences to help victims of sexual and domestic violence, earning her a Crime Victims Service Award this year from the U.S. Attorney General’s office. Von Diaz reports. Click here to download this week’s show. Image courtesy of Merel van Beeren. Von Diaz is a multimedia journalist based in New York City. Her reporting focuses on immigration, Cuba, and LGBT issues. 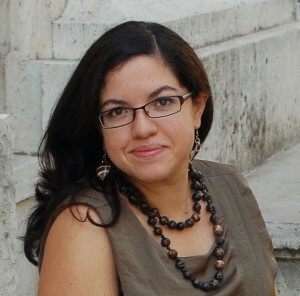 She was born in Puerto Rico and raised in Atlanta, GA. She is a Feet in Two Worlds fellow, and has published her work on PRI’s The World, WNYC, and New American Media. Did you know only three cents of every philanthropic dollar goes to media nonprofits, and only one cent goes to Latino nonprofits? Your donation to Latino USA will make a difference. ¡Muchas gracias! NPR's Latino USA with Maria Hinojosa, produced by the Futuro Media Group, is the longest running Latino-focused program on U.S. public media.